After months of waiting Shadow of the Tomb Raider finally got the Ray-Traced Shadow update. It has been a bit more of a wait than anticipated since it was one of the original games showcased at the reveal of the RTX cards back in August of 2018 and was the first game launched that was on the DXR road map. 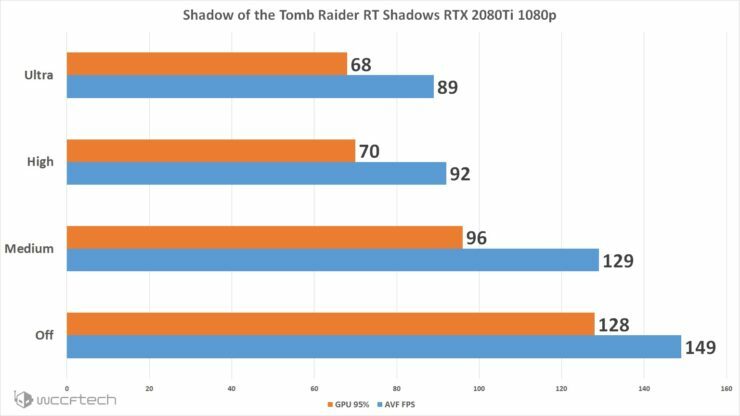 There were initial concerns around performance as the original showing had the RTX 2080Ti running pretty low frame rates at 1080p. But, we were reminded many times that this was still early in development. Now with it out have things changed? Has performance gotten better? Well, let us find out. 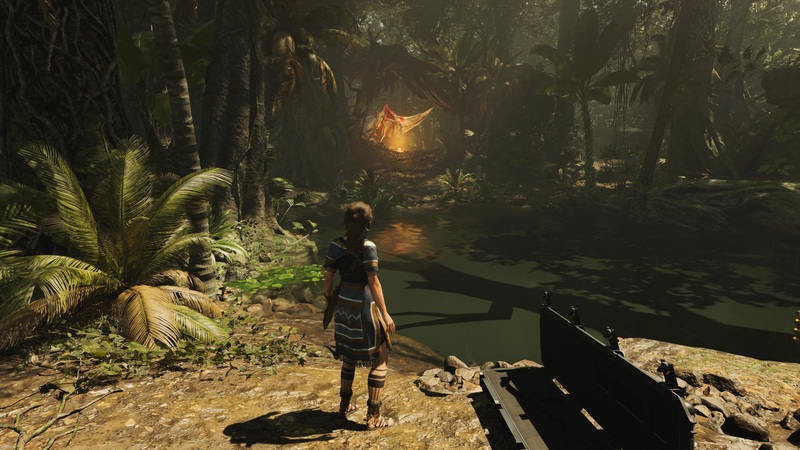 Testing Shadow of the Tomb Raider for this one was a bit interesting as the performance varied depending on the amount of shadows, so we could have found an area that beat the cards to death or one that made them look better than they were. Since DXR requires DX12 we did all the testing with DX12 enabled. 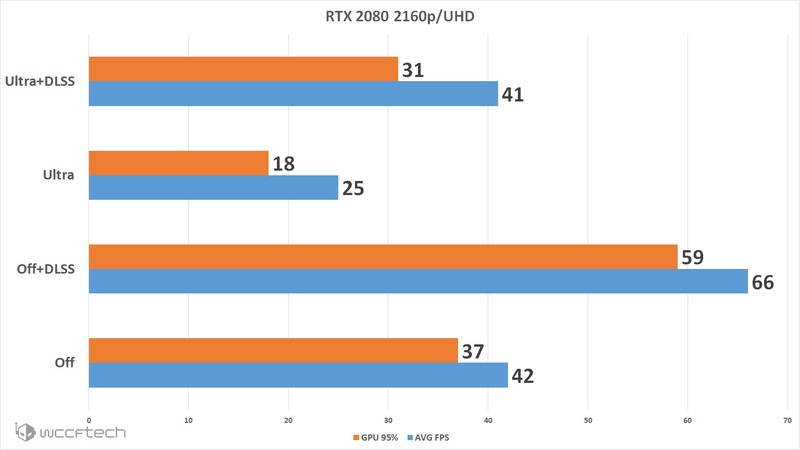 We settled on letting the built in benchmark do it’s thing and taking the overall average frame rate result that it gave and the 95th percentile numbers from the GPU results for the minimum area to have a better idea of the low range of frames. For the OFF setting we used the ‘Highest’ preset and for the RT Shadows numbers we left all settings the same except for the RT Shadows function. 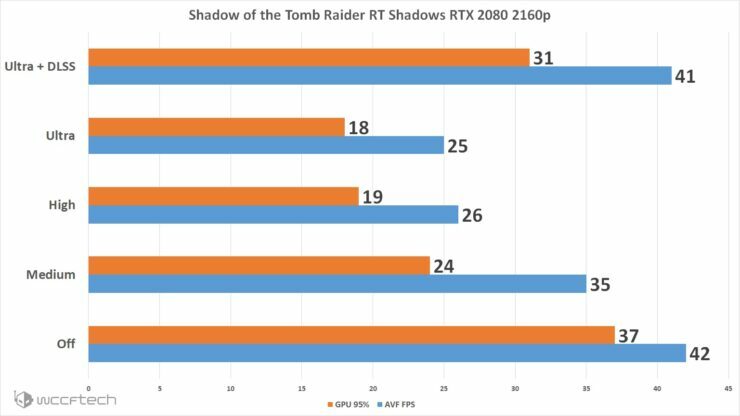 For the DLSS settings we used it in conjunction with the ‘Ultra’ RT Shadows setting but a separate graph for running with DLSS without RT Shadows enabled to see how the game can benefit from just DLSS support. Screenshots below are native 4K with settings applied below the image. 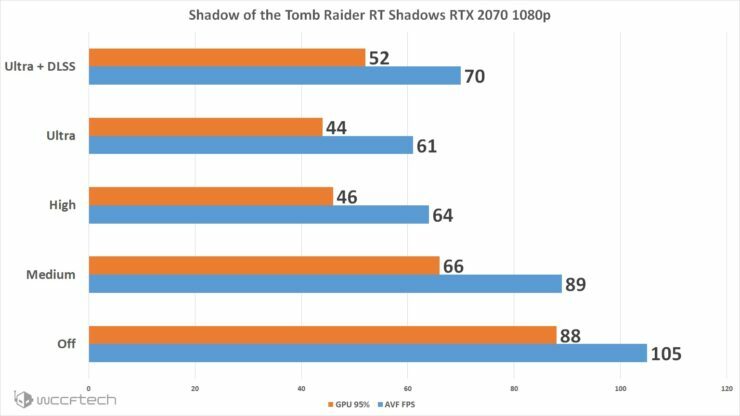 The RTX 2060 is the entry into RTX functions, well GTX will soon get DXR support, and is showing decent performance with RT Shadows at Medium but falls fairly far when moved to High or Ultra. We can see that DLSS brings back a good bit of the performance but has a much bigger impact at 1440p as NVIDIA has suggested in the past. 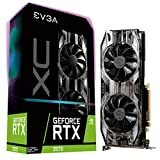 So for this and the RTX 2070 we’ll be looking at 1080p and 1440p performance only. 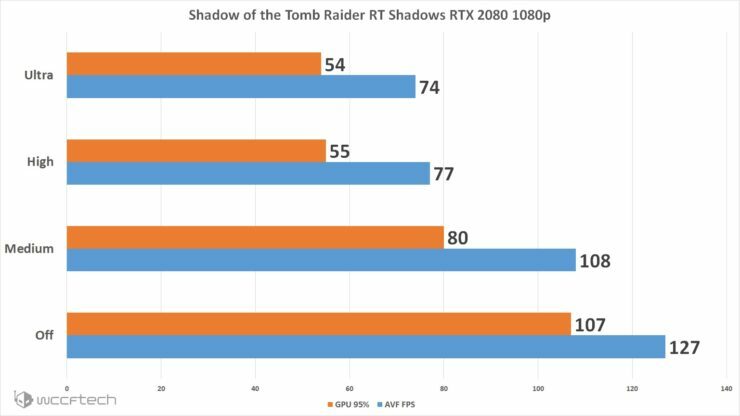 But what if you’re not sold on the RT Shadows and simply want more performance? DLSS without implementing anything else takes the RTX 2060 to being able to hand the game at it’s highest settings at 1440p with ease for a smooth experience. 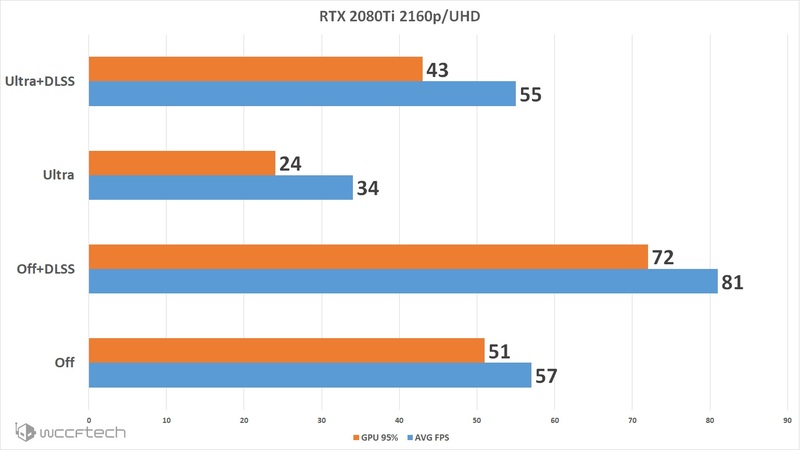 Moving to the top of the TU106 family the RTX 2070 shows similar performance impacts with Medium hitting acceptable frame rates and while High and Ultra put the squeeze on it. DLSS brings things back to a more acceptable range but DLSS + Medium would produce a very similar to no rasterized performance and would be where I would end up with on this one. 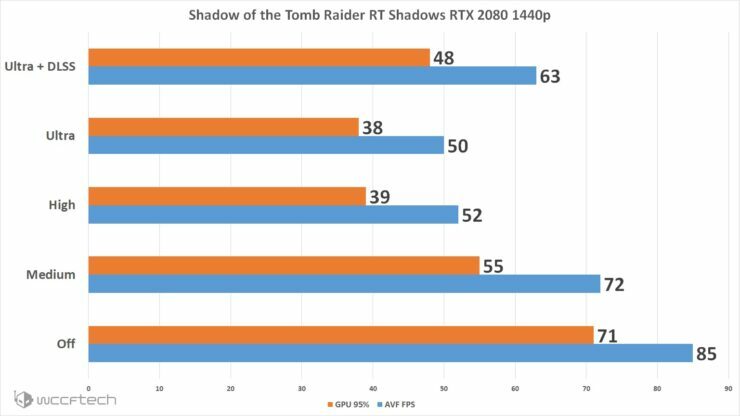 DLSS at 1440p and no RT Shadows gives the RTX 2070 a very acceptable performance boost and would let you take a bit of advantage of a higher refresh rate 1440p panel or a locked 60FPS experience. 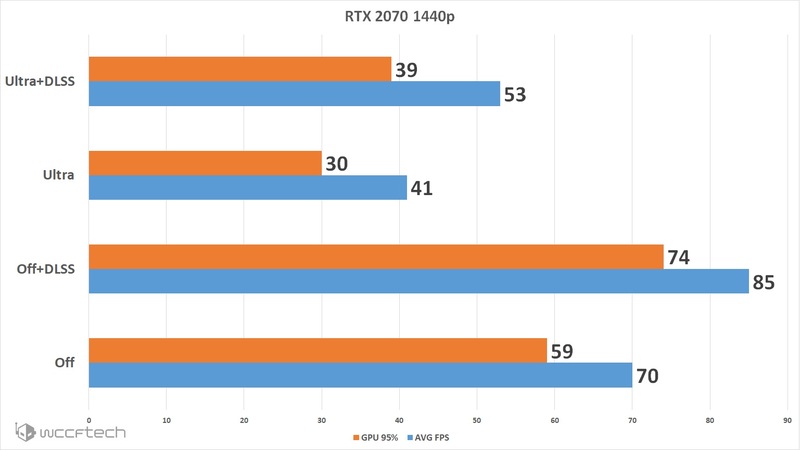 The RTX 2080 brings us to the TU104 brings us into the 1440p – 4K world. This is an interesting point as the option for DLSS at 1080p is gone, if you try to enable it you’re forced to 1200p so we’re excluding 1080p DLSS at this point. 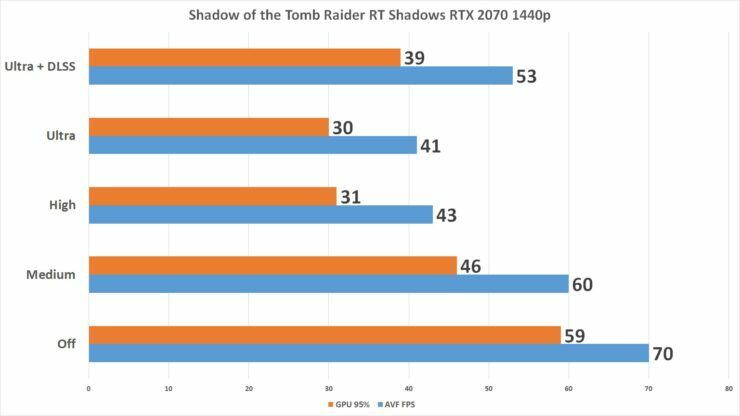 The RTX 2080 with RT Shadows and Ultra and DLSS enabled we’re seeing it able to keep over a 60FPS average at 1440p and the DLSS bump at 4K brings it nearly in line with no RT Shadows at all. 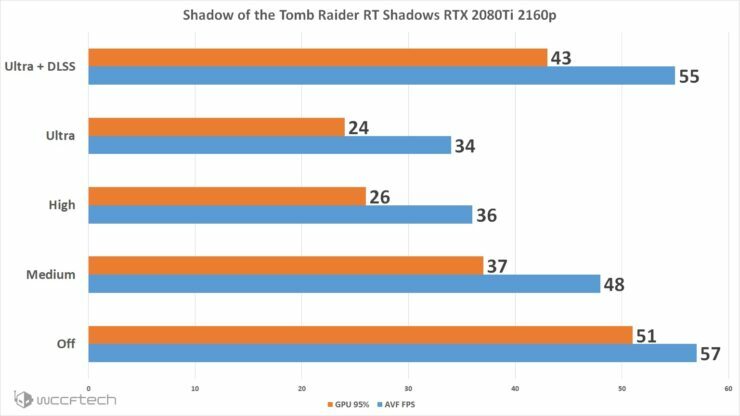 Running DLSS at 4K without the use of RT Shadows shows the RTX 2080 being able to hit over 60FPS average allowing it to be perfectly playable at this resolution if you’re willing to forgo the RT Shadows in favor of traditional rasterization. 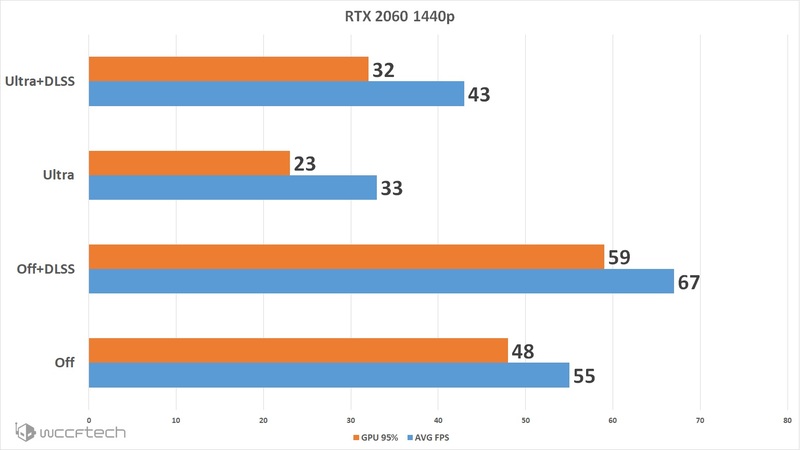 TU102 comes in showing that the early performance was not indicative of final performance with it being able to run over 60FPS at 1440p even without the help of DLSS. But DLSS does help bring the 4K performance closer inline with the non RT performance. 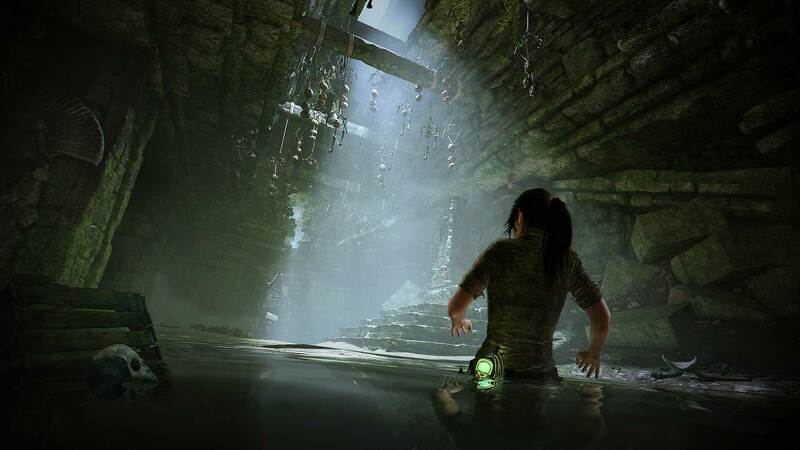 But as before if you’re looking for all out frame rate improvement then DLSS will give you a healthy bump at 4K.